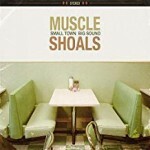 Share the post "Album review: MUSCLE SHOALS – Small Town Big Sound"
‘Small Town Big Sound’ is an ambitious attempt to update the famous Southern Muscle Shoals sound for the new generation. A well received documentary led to this all star affair, on a musical meeting of roots rock artists and the original studio musicians who gave the sleepy Alabama town of Muscle Shoals its sound. You could argue about the choice of songs, especially as they were apparently whittled down from a 100 to the 15 presented here. But the album is a laudable attempt at finding a musical equilibrium in which to fit all the disparate artists. And that might well be the reason for a pleasant, but not essential album. It’s partly successful in emulating the legendary Muscle Shoals sound, but ultimately fails to deliver any real excitement. Rodney Hall, the son of Rick Hall – the original studio owner – neatly captures the essence of the sound thus: “It comes down to hooks, groove, quality and vocals”, though that doesn’t necessarily explain the place’s original allure for say The Stones or Dylan who recorded here and helped give the place its legendary status. The 15 tracks may adhere to a marketing man’s dream, but in truth, the highlights are far and few between. That’s not to say this isn’t an enjoyable album, but it just lacks a bit of direction and spark. Keb Mo starts things of promisingly, leading us into a big band, slide guitar and horn-led bluster. It’s a perfect foil for his nasal timbre, while Eli ‘Paperboy’ Reed excitingly attacks ‘Steal Away’ with whoops and hollers and a startling vocal performance to make it something all of his own. Michael McDonald is also the perfect choice for the soulful ballad ‘Cry Like A Rainy Day’, as he taps into the Muscle Shoals heritage, while the duet pairing of Vince Gill and Wendy Moten on ‘True Love’ is a triumph. Then there’s a deep reading of Gregg Allman’s ‘Come and Go Blues’ by Allison Krauss, while Dylan fans won’t be disappointed by Willie Nelson, Chris Stapleton and friends’ version of ‘Gotta Serve Somebody’. But if the above are near highlights, then they are offset by Grace Potter’s dutiful rather than inspired ‘I’d Rather Go Blind’, and Steven Tyler and Nuno Bettencourt version of ‘Brown Sugar’ which is frankly a mistake. While most of the material has something going for it, tracks such as Aloe Blacc’s version of ‘I’ll Take You There’ fails to emotionally engage us, and Brently Stephen Smith’s version of ‘Mustang sally’ is simply a obvious cover too far. This entry was posted in ALBUM REVIEWS, ALBUM REVIEWS (Mobile), All Posts and tagged album, Alison Krauss, Aloe Blacc, blues, Bob Dylan, Brently Stephen Smith, Chris Stapleton, Eli 'Paperboy' Reed, Fame Studios, funk, gospel, Grace Potter, Gregg Allman, Keb Mo, Michael McDonald, Muscle Shoals, Nuno Bettencourt, review, Rick Hall, rock, Rodney Hall, Rolling Stones, Small Town Big Sound, soul, Steven Tyler, Vince Gill, Wendy Moten, Willie Nelson. Bookmark the permalink.